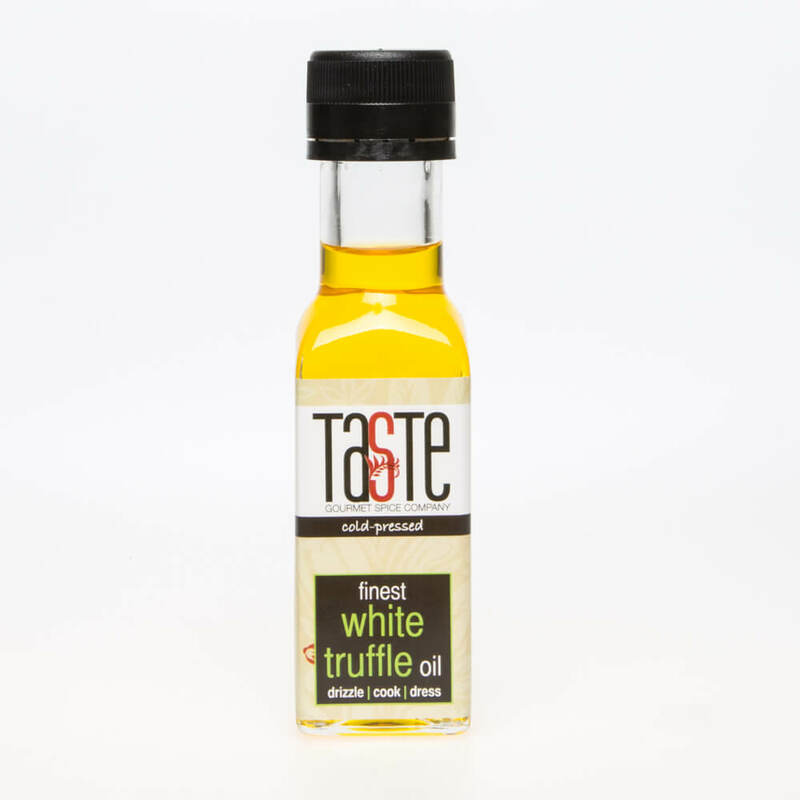 Our cold-pressed White Truffle Oil is rich, luxurious & fabulously decadent! Because it is so rich, you’ll only need (literally) a few drops for a massive kick of flavour. Perfect on pasta, pizza, seafood (especially scallops), mushrooms & so much more. 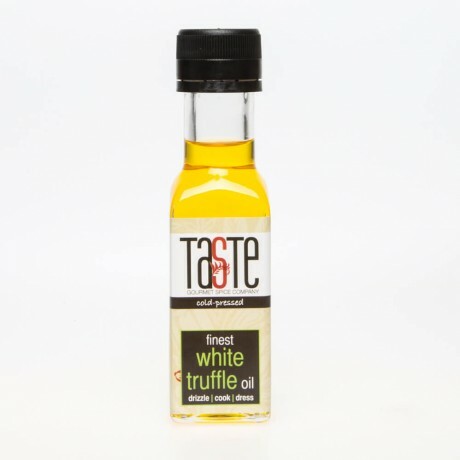 Add a drizzle to mashed potatoes for a quick Truffle Mash! This product is dispatched by Gourmet Spice Company. This item has a shipping weight of 300g.